"Through service-oriented activities, The Big Event promotes campus and community unity as students come together for one day to express their gratitude for the support from the surrounding community." 2. Claim your GivePulse account. 3. Click the N150 logo in the upper left corner. 4. Scroll down to "Events." 5. Click "The Big Event 2019 -- Sign Up." 6. On the right side, click the green "Register" button. 7. Fill out your information and hit "Continue." 8. Ensure you receive a confirmation email. 9. Congratulations! You have signed up for The Big Event. See You April 6, 2019! 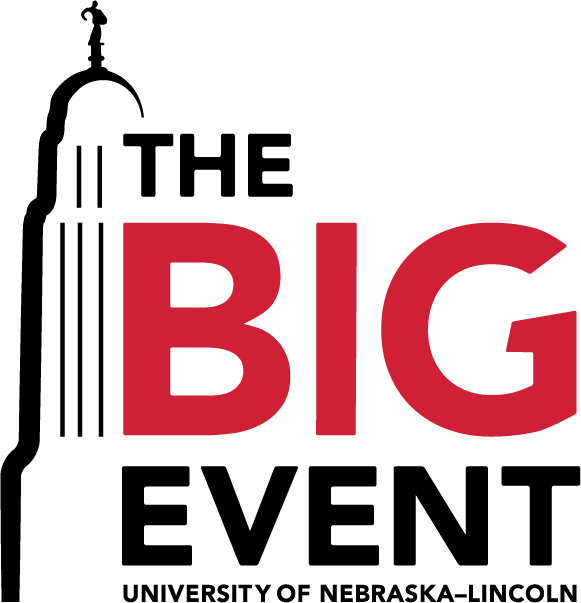 The Big Event team is excited to announce that over 3,000 UNL students, faculty and staff volunteered with The Big Event last year. Come join our Big Red family as we look to serve the Lincoln community again this year in the Spring of 2019! It is going to be the BIGGEST year yet! Our mission is simply saying "Thank You!" to the residents of Lincoln. This initiative is meant to uphold the University's core value of service. Our ASUN Student Government is passionate about improving the relationship between our University and the Lincoln community. This event gives students the opportunity to show their appreciation to the community they call home while they are at college. Email bigevent.unl@gmail.com for any questions or comments regarding The Big Event. The views presented here are those of the The Big Event student organization and do not necessarily reflect the views of the University of Nebraska–Lincoln.